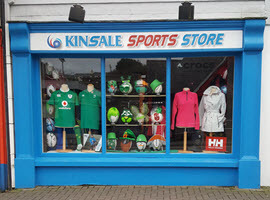 Kinsale Sports Store is the go to shop for all your sporting needs. 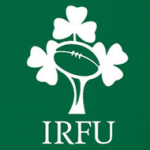 We stock soccer gear, rugby gear, running gear, swim suits and swim accessories, wetsuits, body boards and GAA (hurling and Gaelic football) sporting goods. 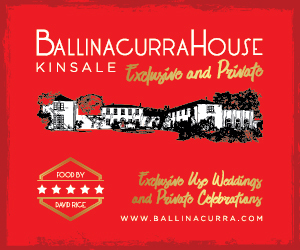 You can trust us – we’re in the sports business in Kinsale for over 10 years! Choose from our range of top quality sports brands like Adidas, Asics, Under Armour , Helly Hansen, Canterbury, O’Neils, Sea Skins wetsuits, Crocs, Puma, “Mac in a Sac” and Speedo. In addition to stocking the top brand names in sportswear. We pride ourselves on our friendly, knowledgeable staff and our outstanding level of customer service. 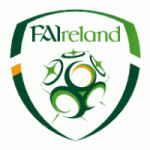 We are official merchandisers for Irish Soccer (Umbro), Irish rugby (Canterbury) and Cork GAA. We also stock items from golf balls, tennis racquets, yoga mats and Hurleys. It is this wide product range that has made Kinsale Sports Shop the one stop shop for tourists along the Wild Atlantic Way. We also have an excellent range of durable and easy to “Pack Away” raingear “Mac in a Sac” that can keep you dry along the Wild Atlantic Way. 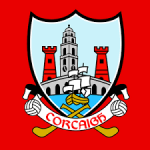 Kinsale Sports store continually support local organizations and associations and likes to promote sport at a grass root level. 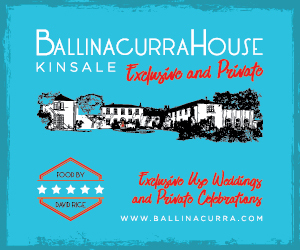 Proprietor Tom Finn has previously coached Kinsale rugby sharks and volunteers as a coach for Kinsale’s ladies Gaelic Football team. We like to offer our customers friendly a quality shopping experience and are committed to providing our customers with excellent quality and wide range of sporting goods at competitive prices. We listen to our customers and adapt our range to meet their needs and changing trends. Call in to see us. You can find us on the pier across the road from Kinsale Tourist Office.